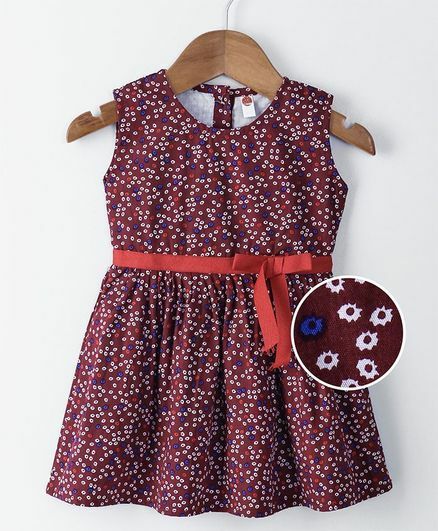 Update their new season wardrobe with this sleeveless frock by Dew Drops. Beautifully fashioned from a soft fabric, this easy-fitting design offers floral print frock with bow applique. Round neckline and back button closure ensures easy dressing. really good quality and I am so happy ?? "Product good but flaw in design"
The neck size and the back buttons have so much less space that the baby cries while we try to change the dress.